Writing a press release is a dying art. Many business owners incorrectly assume that they can only use a press release to disseminate information to print publications. However, online media companies also rely on press releases (aka news releases). This need arises from their obligation to fuel their online formats with fresh stories around the clock. Therefore, your document could inspire a news organization to write a story about you or your company. If your news release piques the interest of even one of these media giants–print or online–it’s free publicity and a win for your team. Take a look at a standard press release. Insert your logo at the top. Including this reinforces your branding and validates your company in the mind of the reader. See the three contact lines near the upper right-had side? Those tell writers how to reach you. They might have some follow-up questions to clarify your message. However, they may also ask you for a quotation, an interview, images, or to confirm the facts. Because they are on tight deadlines, you should respond to them with urgency. News stories wait on nobody. Use the headline to share the overall message. Then use the sub-header to share an interesting “angle” to your news. Yes, please use the prescribed upper- and lower-case. Launch directly to your first sentence, called the “lead sentence” by news outlets. This lead sentence should always include as many of the 5 W’s as possible: who, what, when, where, why. This sentence is often lengthy. Your online writing instincts will send alarm bells telling you to break it into short, digestible sentences. For a press release, that’s incorrect. Write as many additional paragraphs as you need. Follow accepted grammar and spelling rules. 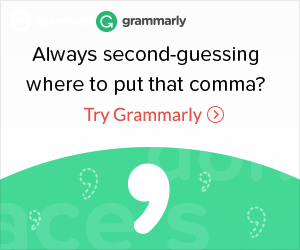 Run a check in both your document creation app and Grammarly. Your goal is to impress news writers and make them want to share your story. You may also choose to include an image that aids in telling your story. [Insert your company name] is [describe your business briefly here]. Before the advent of digital files, users would fax their information out to news organizations. Back in the day, the end notation told the news reporter know that there wasn’t an additional page jammed in the fax machine. Finally, end your press release by inviting the news writer to contact you. Yes, you placed your contact information at the top of the page. However, this message reinforces your desire to be reached for a quote or to convey additional information about your news. News writers are very busy and face high-pressure deadlines. They will often select a press release that has included much of the “legwork” to make the content more accessible to write. This fact applies to both digital and print media. I know this firsthand–I’ve done it myself when I worked as a magazine copywriter. Sadly, some intriguing stories went untold because of poorly disseminated information. Choose a professional-looking, easily readable font. This document isn’t the place to show off your stylistic choices. You are sharing information. Period. You’re submitting your information digitally, so feel free to include digital files. An image inserted into the news release is acceptable. However, the photo must be relevant to the topic and be of good quality. Be sure also to include attachments of original images in your email. The more legwork you’ve done, the better the odds of a news writer featuring your story. When you write the body, be sure to include quotations. This adds a personalized element that writers love. Again, they don’t need to chase after you to get what they need. In today’s internet-driven world, the art of writing press releases is fading. Use our free template as a guide, and write now…right now! However, those who master this skill benefit by capturing the interest of those media companies who still prefer this traditional format. Surprisingly, this formal process applies even to digital news agencies. ← Blog Post vs Guest Post…What’s the difference?